Therm-A-Rest is a well-known mattress/sleeping pad manufacturer with over 34 models currently available. The company is 45 years old and is owned by parent firm Cascade Designs, who also owns MSR and Platypus. 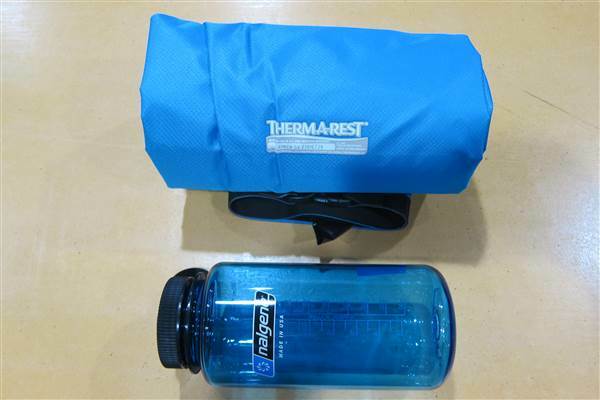 Therm-A-Rest mattresses are grouped into three categories: Fast & Light, Trek & Travel, and Camp & Comfort. 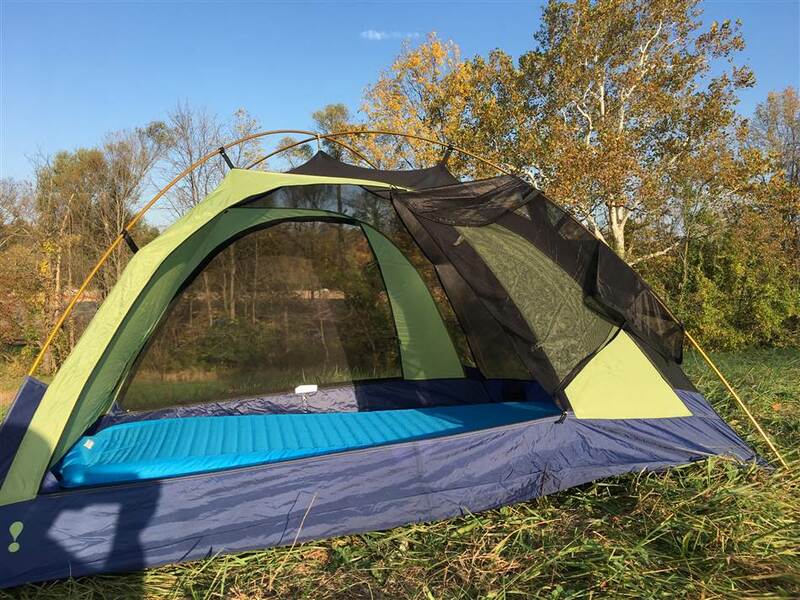 The NeoAir Camper SV (hereafter called NeoAir or Camper SV) is a new addition to the Camp & Comfort lineup, which touts comfort and extra support for outings where the size and weight of the mattress are not a factor. As a self-described deluxe mattress the Camper SV is perfect for base camping, canoe trips and family or car camping. 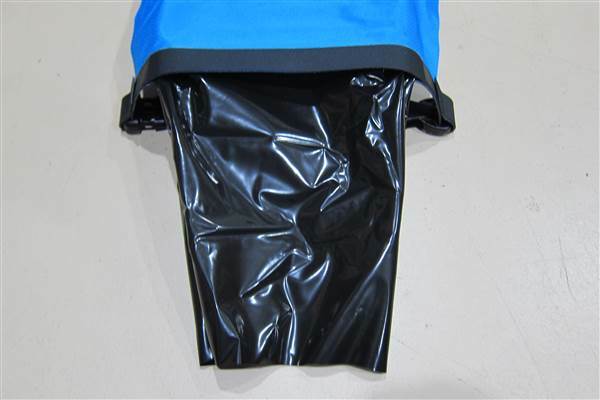 It features ThermaCapture technology, WaveCore construction, and Therm-A-Rest's patent-pending SpeedValve technology for fast and easy inflation and deflation. My initial impression of the Camper SV mattress was quite positive. 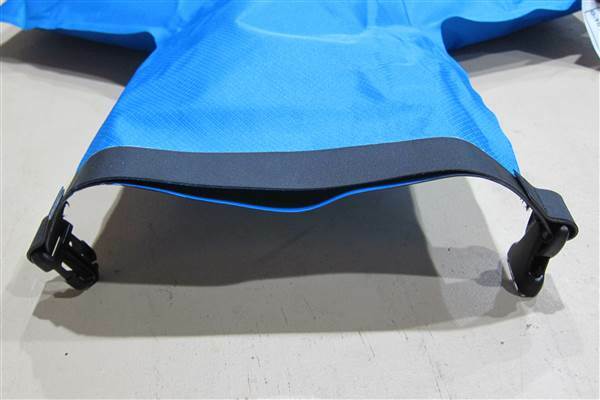 It is bright blue in color and fairly light weight for a base camp mattress at 2 lbs 5 oz (1.05 kg). The NeoAir is inflatable and insulated (R value = 2.2) mattress with dimensions of 77 x 25 x 3 in (196 x 63 x 7.6 cm) in size 'Large'. It is also available in 'X-Large', with the same length and thickness as above but 30 in (76 cm) wide. I found the 'Large' to be plenty wide for my needs. When packed in its included storage sack the Camper SV is 12 x 6 in (27 x 15 cm) or roughly the size of a paper towel roll. For years I backpacked with a self-inflating sleeping pad that was 24 x 12 in (61 x 30 cm) when rolled up, so the Camper SV is a welcome addition to my gear despite its large size by today's standards. The mattress is made of 75d polyester fabric which is textured on top and smooth to the touch on the bottom. Although it feels somewhat thick my concern, no different than with any inflatable device, is how well it will hold up in the field. Thankfully Therm-A-Rest includes a repair kit in case the mattress develops any leaks or punctures from sharp objects on the forest floor. As mentioned above the Camper SV has lots of neat features including ThermaCapture technology, WaveCore construction, and Therm-A-Rest's patent-pending SpeedValve. ThermaCapture Radiant Heat technology is a proprietary reflective coating that is applied to the inside of the mattress to capture and reflect radiant heat. WaveCore construction uses horizontal wave baffles to slow down convective heat loss thus keeping the mattress warmer than it would be without the baffles. And finally the SpeedValve is a revolutionary new valve design that allows for incredibly quick inflation and deflation of the mattress using one of the laws of Physics, Conservation of Energy. The science behind it is based on Bernoulli's principle, but essentially the large valve opening allows each breath to draw in surrounding air to help fill the mattress, very similar to the way that fuel is drawn into a carburetor by the rush of intake air. 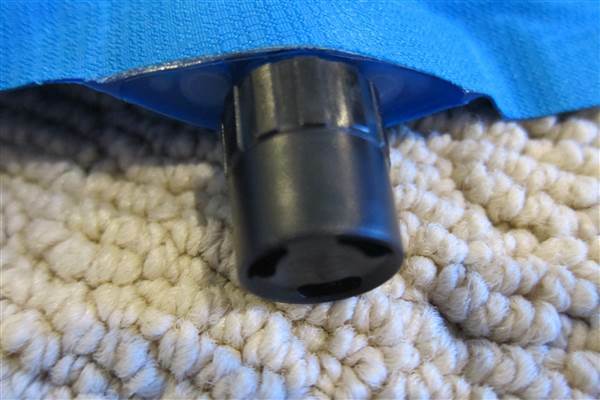 The Camper SV also has a traditional style one-way valve for adding or removing small amounts of air from the mattress. A one-page instruction sheet was included with the mattress. It provided step-by-step instructions along with drawings for using the SpeedValve that were very easy to understand and follow. I found care and cleaning instructions in the FAQ section of the website while information regarding warranty and repairs had its own link at the bottom of the main webpage. I found the NeoAir Camper SV to be incredibly quick and easy to inflate. In fact my kids and I took turns seeing who could inflate it the quickest. On average it took us 6 breaths and 8 seconds to fully inflate this mattress compared with 16 breaths and 1 minute to inflate my current sleeping pad. Therm-A-Rest's claim that the special valve allows the mattress to be inflated up to three times faster than traditional valves was certainly true for me. Once the mattress was inflated, I set it on my hardwood floor and laid down. It quickly distributed my weight and felt very comfortable with plenty of length and width for my needs, so much so that I laid there for several minutes until my wife came by and gave me a nudge. Before getting up however, I experimented with the air pressure for a few minutes, letting some air out of the secondary valve to see how that felt and then reflating it through the same valve, but ultimately I decided that I preferred the mattress to be firm/well inflated. Deflating the NeoAir was even quicker than inflating it as the air exited almost immediately as soon as I opened the buckle and applied pressure to the mattress. I folded it in half lengthwise, the same way it was originally packed and then rolled it up. One thing I did find was that folding the Camper SV in half was slightly more difficult than I anticipated. I contribute this to the fact that the mattress had never been folded in half before and so the baffles didn't initially want to crease in that spot. The NeoAir fit easily inside its stuff sack with plenty of room to spare. The Camper SV appears to be well built and it is extremely comfortable to lie on. 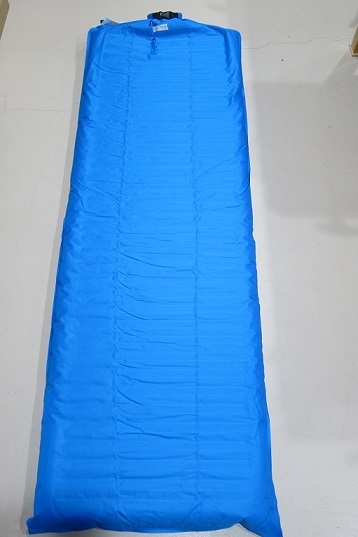 It is the perfect size and weight for base camping and has lots of nice features including the SpeedValve which makes inflating and deflating the mattress a breeze (no pun intended). If it proves itself to be durable and warm in the field, this mattress will be a real winner for three-season camping when pack weight is not a concern. Since posting my Initial Report in July I used the NeoAir Camper SV on two backpacking trips and one family campout for a total of five nights in the field. I spent two of those nights in a hammock while the other three nights were spent in a tent. I experienced both wet and dry conditions during Field Testing as well as temperatures that ranged from 66 to 88 F (19 to 31 C). 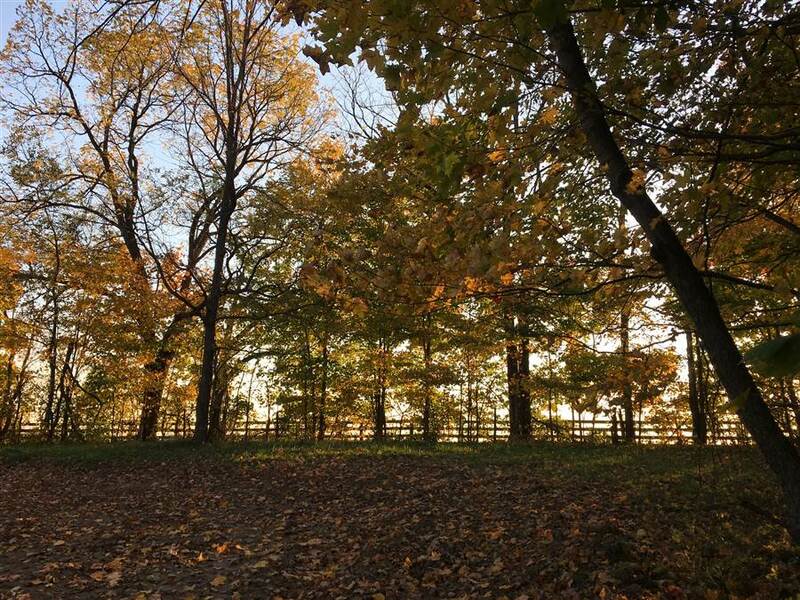 My first trip of the test period was to the Hoosier National Forest in Brown County, Indiana (IN) where I camped for three nights in a hammock. The area was heavily wooded and quite hilly with elevations ranging from 530 - 790 ft (161 - 241 m). The weather was mild and sunny during my stay with highs in the mid-70s F (24 C) and lows in the upper-60s F (21 C). During this trip I hiked approximately 15 mi (24 km) along mostly hard packed trails and slept on the NeoAir for the first night before switching to a slimmer air pad which was able to slip inside the hammock's pad sleeve. 2. My second trip was to Franklin County in Southeastern IN where I hiked approximately 12 mi (19 km) during the course of three days. The weather was cool and rainy on the first day but then cleared up allowing me to enjoy sunny skies and moderate temperatures on days two and three. 3. My final trip was a family tent camping trip to Southern IN where I hiked, fished and waded through creeks looking for fossils. The terrain was hilly with lots of open and forested areas to explore. I spent three nights on the NeoAir in temperatures that ranged from 70 to 88 F (21 to 31 C). After two months of Field Testing I can unequivocally say that I'm very happy with the NeoAir Camper SV. Is it the lightest most compact mattress on the market? 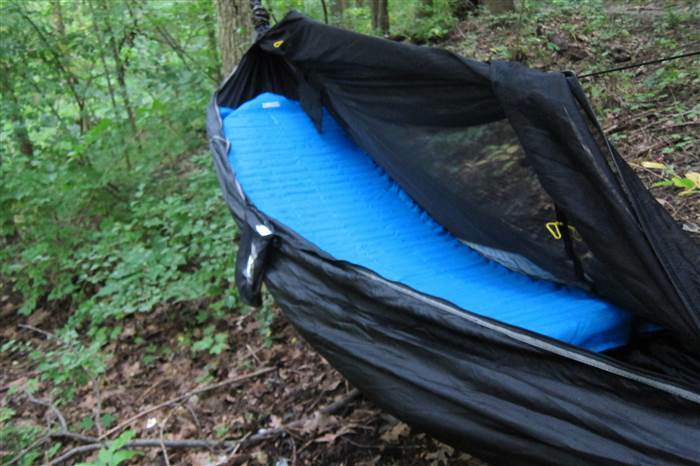 No, but then again it wasn't designed to be an ultralight backpacking mattress. 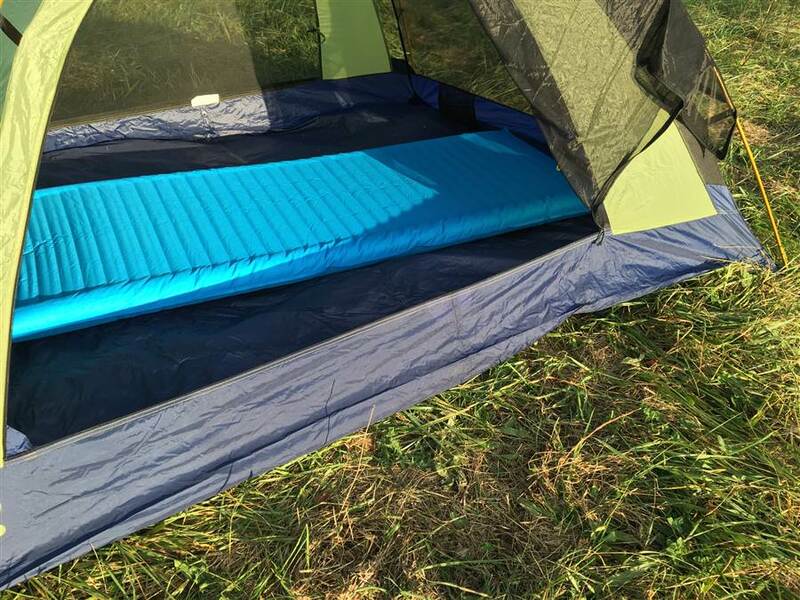 The NeoAir was made to be a deluxe mattress for base camping, and it does that very well. At 77 in (196 cm) long and 25 in (63 cm) wide, my entire body easily fits on the mattress with room to spare. No more waking up in the middle of the night with cold arms and legs because my mattress is too narrow and too short. No more aches and pains from lying on a mattress that's too thin. And because the Camper SV is 3 in (7.6 cm) thick, rocks, sticks, bumps and holes in the ground literally disappear underneath it! When tent camping in Southern IN I simply laid down my ground tarp, set up my tent and that was it. Uneven ground and small sticks were no match for the NeoAir. However, it turned out that there were some walnuts under the tent which I felt compelled to remove, but once that was done, lying on the NeoAir was almost as comfortable as lying on my bed. Each morning I awoke feeling like I got a restful night sleep. I also didn't roll off the NeoAir and it didn't slide around my tent floor which was really nice. Although it was hard to believe that the slightly raised edges of the NeoAir would keep me on the mattress, they seem to have some effect. One minor thing about the NeoAir is that it's not a quiet mattress, it makes a crinkly sound when touched. Having said that, the sound was never bothersome and it didn't keep me awake at night or cause me to wake up if I happened to roll over or change sleeping positions. Regarding size, it's worth noting that I didn't have any problems fitting the NeoAir into my backpack. At 12 x 6 in (27 x 15 cm) when folded, it easily fit in the bottom of my pack and didn't take up much space. If I was in a real bind I could have strapped it to the outside, but for these trips I didn't have any reason to do that. Because I had no problems inflating the NeoAir during Field Testing, I typically didn't worry about blowing it up until I was ready to go to bed each night. When it was time to inflate the mattress, I found that if I blew a steady stream of air into the SpeedValve using many quick breaths, that seemed to inflate the mattress quicker than if I and blew slower and inhaled deeply between each breath. The time difference between these two methods, however, was only a few seconds. Typically, I inflated the NeoAir in 6-7 breaths and then closed the SpeedValve and made any final adjustments using the secondary valve. One other thing I noticed was that the NeoAir seemed to lose some firmness during the night, most likely do to the air inside the mattress cooling down. Either way the mattress was definitely softer in the mornings then when I blew it up the night before. This wasn't a problem during Field Testing as there was still some cushion between me and the ground in the morning but as nighttime temperatures continue to drop during the next few months, any additional air loss would require me to reinflate the mattress during the night. 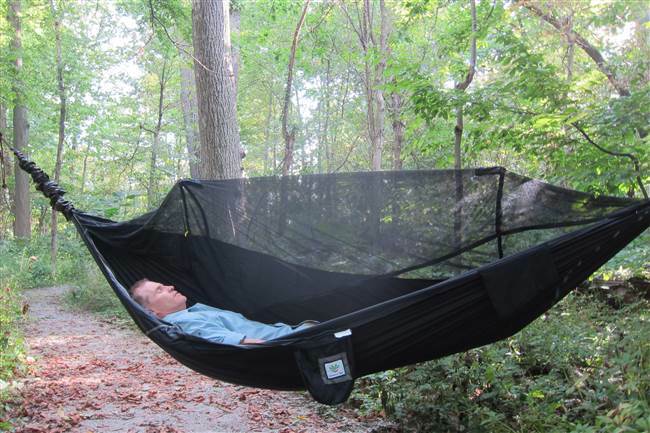 On my hammock outings I brought a second, narrower mattress with me. I did this because my hammock has a mattress sleeve that is only 20 in (51 cm) wide and I wanted to try it out. Because I brought both mattresses with me, I had the opportunity to inflate them side by side, and the difference was remarkable. The NeoAir with the SpeedValve was so much quicker and easier to inflate than the mattress with the standard air valve that I almost dreaded blowing up the other mattress. Since my trips have all been in warm weather, I haven't had much opportunity thus far to test the insulative properties of this mattress. What I can say is that the NeoAir performed very well when tent camping and hammocking in temperatures in the mid to upper 60s F (20 C). I should be able to do some further testing as temperatures drop during the next two months. With any luck the NeoAir will perform well as I'd really like to use it for winter camping. Regarding the durability of this mattress, I haven't noticed any wear in the fabric and it has not leaked air at all. Overall it appears to be durable and is certainly well made. Overall, I'm very happy with the NeoAir Camper SV. It is lightweight and compact for a base camping mattress. It is also easy to inflate and deflate, and comfortable to sleep on. So far I have had no problems with its durability. Stay tuned to find out how well it insulates in cold weather. Since posting my Field Report in September I took the Camper SV on two more backpacking trips for a total of four nights and 23 mi (37 km) during this test period. Temperatures ranged from 40 to 71 F (4 to 22 C) and the weather was generally nice with only one day of rain during my outings. Elevations in the areas I hiked ranged from 560 to 710 ft (161 to 241 m). On my first trip I repeated a route that I took two weeks' prior, hiking approximately 12 mi (19 km) through farmland and two decent size forests. My route took me alongside a meandering creek which I crossed several times before finally arriving at camp. My pack was heavier this time around as I brought a 2/3 man tent in place of my hammock. I hiked approximately 11 mi (19 km) on this trip. The weather was cool and rainy on the first day but then cleared up allowing me to enjoy sunny skies and moderate temperatures on days two and three. Fall and winter are my favorite times of year for backpacking so I was really excited to head out to crisp cool air, sunny skies, and brightly colored autumn leaves on my first trip of this test period. For this trip I went back to one of my favorite spots in Southern Indiana (IN), and once there set up camp for the night. After pitching my tent and inflating the mattress I built a fire for the evening and got started on dinner. Temperatures dropped quickly once the sun set so I was glad I took time to gather firewood before dinner. After eating I sat around the fire for a few hours before going to bed. By the time I crawled into my tent for the night the mattress had lost most of its loft, due to the drop in temperature, so I reinflated it using the small corner valve before going to bed. Later that night I woke up chilled so I added additional layers of clothing for warmth. I stayed in the same spot on the second night and then broke camp the following morning. When packing up, the Camper SV was easy to deflate and I had no problems fitting it in its storage sack and back into my pack. On my second trip I brought a car solar reflector and placed it between the mattress and my sleeping bag as a thermal barrier. That seemed to help a lot and I stayed warm throughout the night. Once again the SpeedValve was easy to use and the mattress was easily inflated, although once again I had to fill it back up during the night as it lost most of its loft. The Camper SV was comfortable to sleep on during all of my outings; when laying on the mattress I never felt the hard ground or any lumps or dips beneath me. I also liked the fact that it was big enough that my entire body fit on it. Regarding the chill that I felt on my first trip with the Camper SV, I think it was due to my sleeping bag being compressed beneath so it offered little to no insulation against the cold mattress. Given my rough nights' sleep on that first trip, I would gladly trade a 0.5 in (1.3 cm) of loft for additional mattress insulation. The Camper SV proved to be durable and has shown little signs of wear but I continue to be cautious about handling it and what is underneath it. Before pitching my tent, I make sure to clear any rocks or sticks that could puncture the mattress. Cleaning the mattress is an easy task as wiping it down with a damp cloth. Moisture from my breath does collect inside of the mattress so I always let it air out once I get home and store it with both valves open. The NeoAir Camper SV performed really well during this test period and the past four months of testing. It is a great mattress for base camping but I also had lots of fun backpacking with it and would gladly take it out again simply due to the extra comfort it provides when sleeping on the ground. It is heavier than the lightest mattresses on the market today but makes up for that by being wider and extra thick (read cushiony). If I could make one request to Therm-a-Rest it would be to add more insulation to the mattress. Other than that it was a great performer. This concludes my Long Term Test Report and this Test Series. I would like to thank Therm-a-Rest and BackpackGearTest.org for the opportunity to test this mattress.